Every now and again, my husband and I get to have a date night. I have to tell you, the perfect, most low key date night (other than a movie on your couch in your PJ’s…) is taking a stroll out to Rock Island at Zilker Park to watch the sunset. 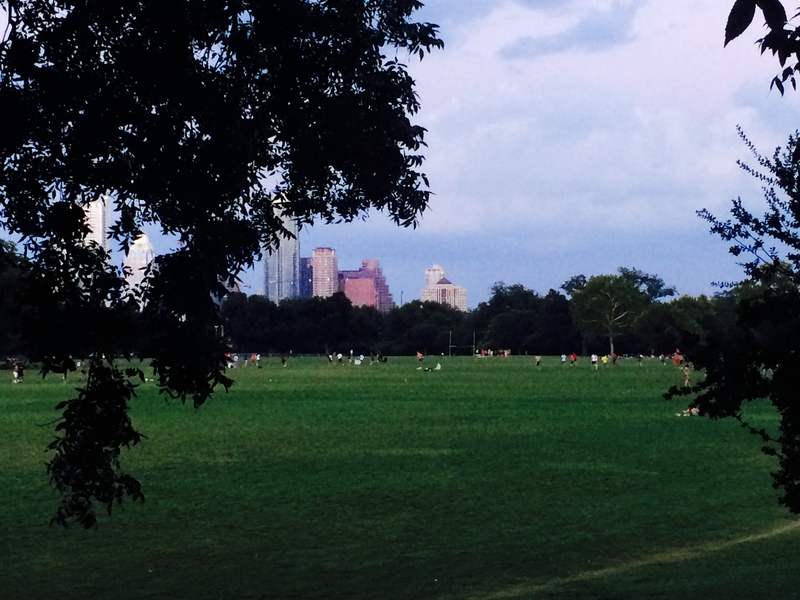 Sitting under the canopy of trees, watching all the dogs run around and play, feeling the soft grass underfoot and seeing the warm glow of the setting sun reflect off the pretty ATX downtown skyline is quietly romantic and easy enough to plan for after a long days work. Loving Austin is so easy.